So I’m going to end up buying one of these! 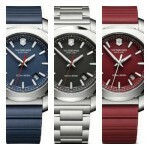 Victorinox make such damn nice luxury Swiss watches. 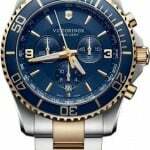 Today I’m looking at the 7 Most Popular Swiss Army Victorinox Watches For Men. 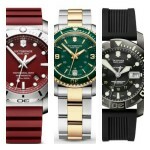 These are such amazing quality Swiss timepieces all for under £500. I’m personally thinking of buying number 7 in the next few months as I haven’t yet got a Victorinox watch but it’s clear to me I need one. I’m loving these top Swiss Army watches. Why not check out my 21 watches under £500 after this for more awesome watches. This first Victorinox Swiss Army watch on show is this 241550 beauty. I love the textured pattern on the inner section on the dial on this timepiece. This classic officer’s stainless steel Swiss Army watch features a brushed and polished finish to the stainless steel casing which blends nicely with the soft genuine leather strap. The whole dial looks great in my opinion, I like the look of the black Arabic numerals and the use of lume on the watch hands and dots around the hour markers is always handy. The crown is engraved with the Swiss Army logo which is a nice touch. The watch itself is a high quality build being Swiss made. It has a Swiss quartz movement, sapphire crystal glass with an anti-reflective coating, and a 100m water resistance rating. Next up in our list of the best Victorinox Swiss Army watches is this impressive looking model. The 241552 has a decent sized 40mm casing which is finished with a brushed and polished effect. Again I like this texturing on the inner part of the dial and the layout of the sub dials is also done in a really interesting way. The Swiss Army logo features on the crown too which is a nice edition. The watch has a high quality sapphire crystal glass giving it a high level of scratch resistance too. Other features include a Swiss quartz movement for excellent timekeeping, and a 100m water resistance rating. 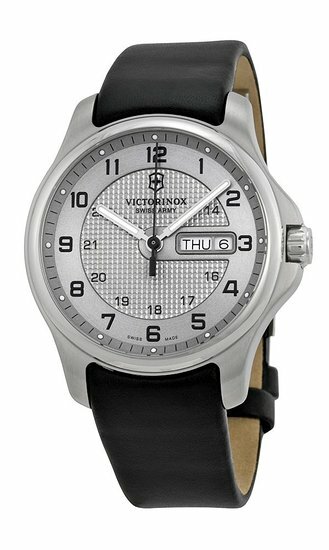 Up next is something a little different from Victorinox Swiss Army watches. The Alpnach is a Swiss Army automatic watch, you can view the inner workings of this via the exhibition caseback which is one of my favourite features to be found on an automatic watch. The movement is Swiss made as is the watch, it also has a sapphire crystal glass and a 100m water resistance rating. Overall I like the high visibility dial design with the large numerals and easy to read watch hands. The rubberized bezel is also an interesting addition, something I’m quite keen on. 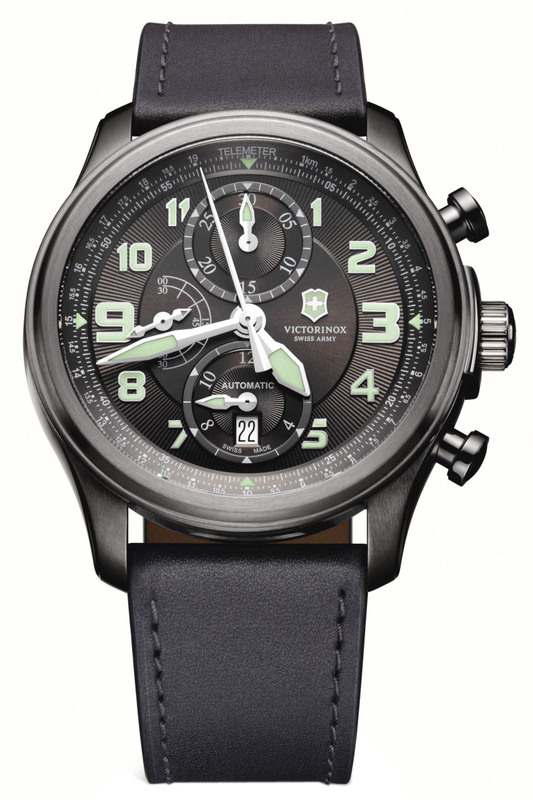 Next up in our look at the most popular Victorinox Swiss Army watches is the 241148 classic chronograph. This model features this very prominent red dial that really draws the eye into the watch. You can see they’ve stuck to this high visibility design with the large numerals and thick lume coating watch hands. The chronograph sub dials are spaced nicely and allow plenty of room for the small date display at the 4 o’clock position. The watch has a brilliant sapphire crystal glass along with a Swiss quartz movement and 100m water resistance rating. This is a rather expensive Swiss Army watch, but it’s fairly priced in my eyes. The casing and strap are made of titanium rather than stainless steel. titanium is much stronger yet lighter than stainless steel, making it the ideal material for watches, the only problem being it costs more. I quite like the large 45mm casing of this watch, it gives you this brilliant big dial with that standard high visibility look. The hands and hour markers have lume coatings to make them easier to read, and the numerals themselves are a high contrast to the dial. The watch runs on a chronograph Swiss quartz movement and has a sapphire crystal glass with an anti-reflective coating. 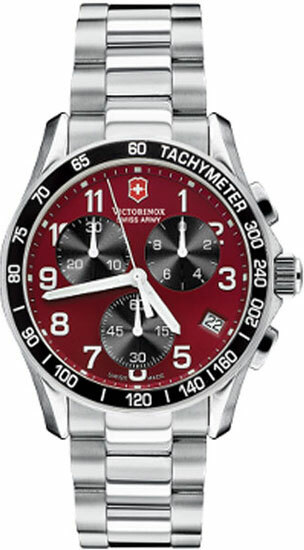 This extra large Victorinox Swiss Army watch has been a firm favourite with its large 44mm casing diameter. 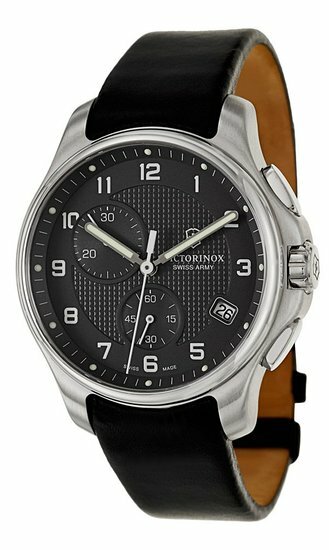 The watch has a Acciaio INOX case and features a comfortable, durable rubber strap. This Victorinox Maverick GS classic has this popular design to it with the coin edged one way turning bezel that just completes that luxury look. Overall the dial design is great, it has that high visibility finish with a neat little date display at the 6 o’clock position too. The 100m water resistance rating will come in handy for a lot of people too I imagine. As with the other watches, this model has a Swiss quartz movement and a sapphire crystal glass. 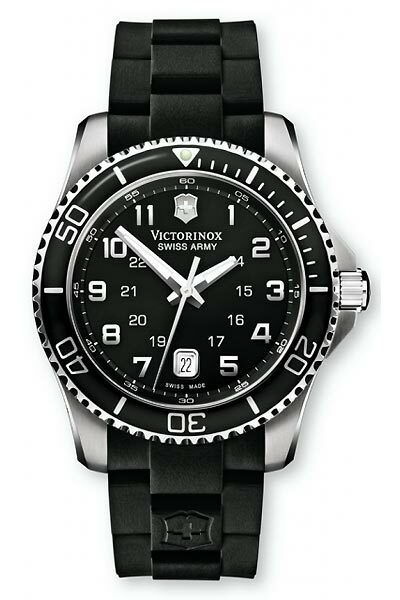 The last up in this look at the top Victorinox Swiss Army watches is the “Infantry” luxury model. The infantry vintage chronograph is a Swiss automatic featuring a ETA Valijoux 7750 chronograph movement that’s very popular indeed. The watch is equipped with a quality 23mm wide genuine black leather strap with a deployment style clasp, one of my favourites. The whole design of the dial looks amazing, the numerals and watch hands are coated in a good amount of lume so reading the watch at night will be no problem at all. It also features a anti-reflective sapphire crystal glass to give you some of the highest scratch resistance possible. Overall an amazing Swiss watch. 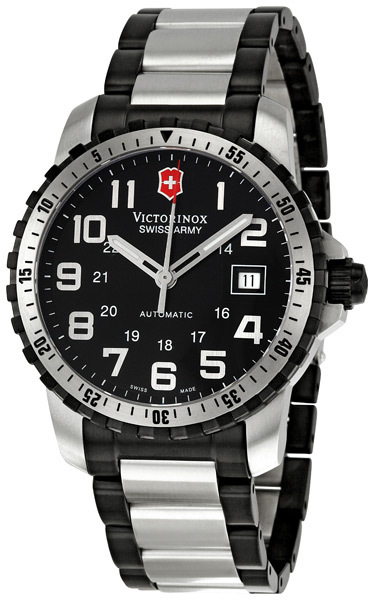 Thanks for reading that was the Top 7 Most Popular Swiss Army Victorinox Watches For Men. Hope you found this helpful. Remember to share, tweet, +1, and Pin! 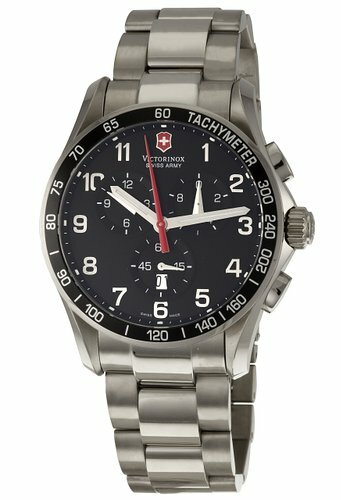 I think Victorinox make the best Swiss Army watch, when you consider the brand as a whole, they’re top notch! Why spend £££ thousands on things you don’t need when these are quite affordable well made Swiss watches.